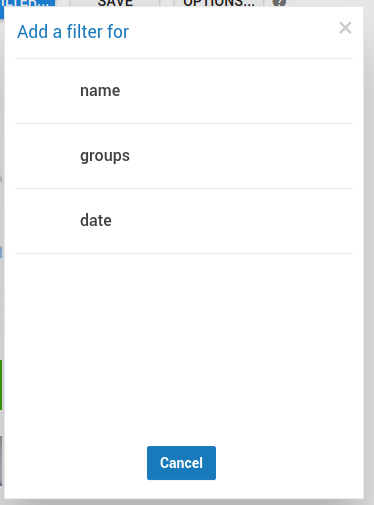 Step 5: Click + Choose groups and select the group(s) you want to filter the search with then click OK. The list will shortly update with the new filters applied. 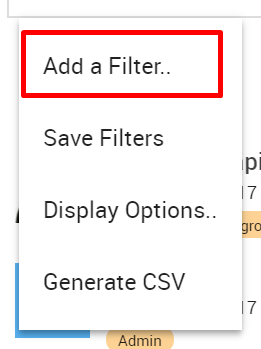 Pro Tip: Click on the and in between two filters and it will change to or ...click it again and it will change to and not .. click again... it will change to or not . This allows for more advanced searching. In the example below we use and not . 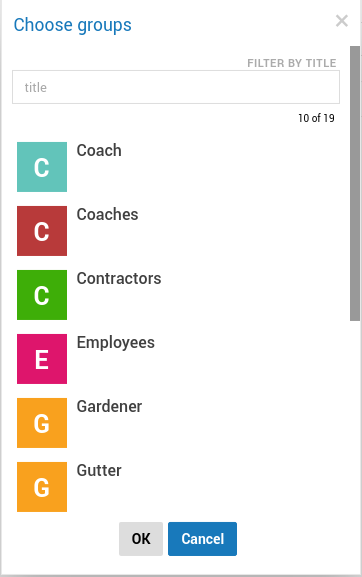 This Filter combination will filter the list for everyone who is NOT in the Coach group.